Geeks at Security Web-Center Found 25 Facebook and list them. Sometimes spammers create fake pages that look like the Facebook login page. When you enter your email and password on one of these pages, the spammer records your information and keeps it. This is called phishing. The fake sites, like the one below, use a similar URL to Facebook.com in an attempt to steal people's login information. The people behind these websites, then use the information to access victims' accounts and send messages to their friends, further propagating the illegitimate sites. In some instances, the phishers make money by exploiting the personal information they've obtained. Note: Please Don't Try to login on above listed websites. 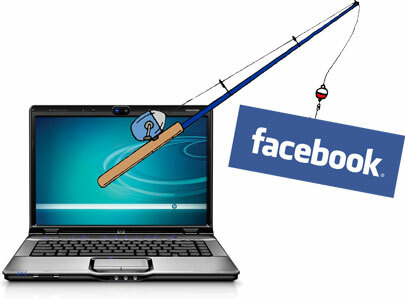 Recently, Facebook phishing emails are threatening to delete users’ Facebook accounts unless the victims pass along their account details within 24 hours, as Posted by NakedSecurity. The emails are entirely bogus. They are not coming from Facebook. Social media venues would not request financial information, nor would they request login details.The scams are, in fact, designed to steal credit card numbers and social media accounts. When someone has been phished, their account will often start automatically sending messages or links to a large number of their friends. These messages or links are often advertisements telling friends to check out videos or products. If your Facebook account is automatically sending out spammy messages or links, secure it here. Make sure that when you access the site, you always log in from a legitimate facebook.com domain. A good rule of thumb is if a URL ends in facebook.com, it is owned by Facebook. For example, "en-gb.facebook.com" ends in facebook.com and is therefore safe and legitimate.